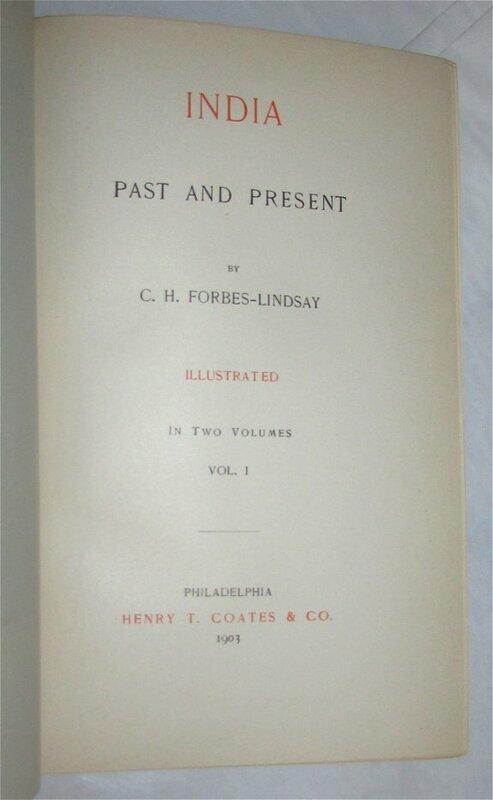 FORBES-LINDSAY, C.H. India. Past and Present. Philadelphia: Henry T. Coates, 1903. In two volumes. First edition. 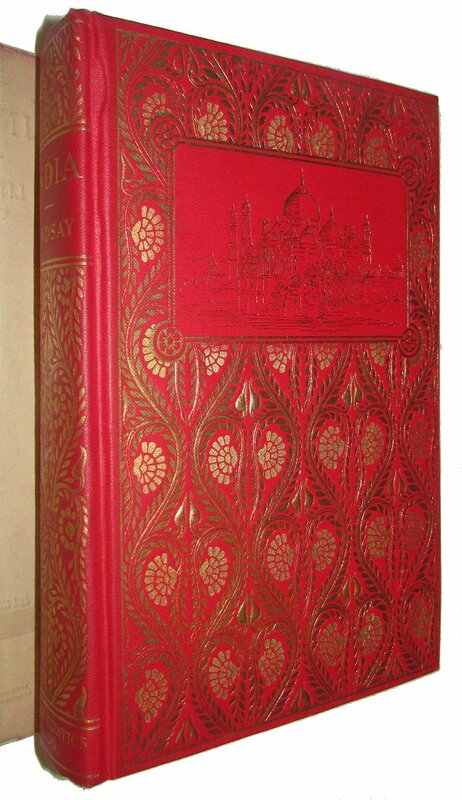 8vo., red cloth with elaborate decoration in gilt and white on the upper covers and spines, xii, 320; vi, 338pp. 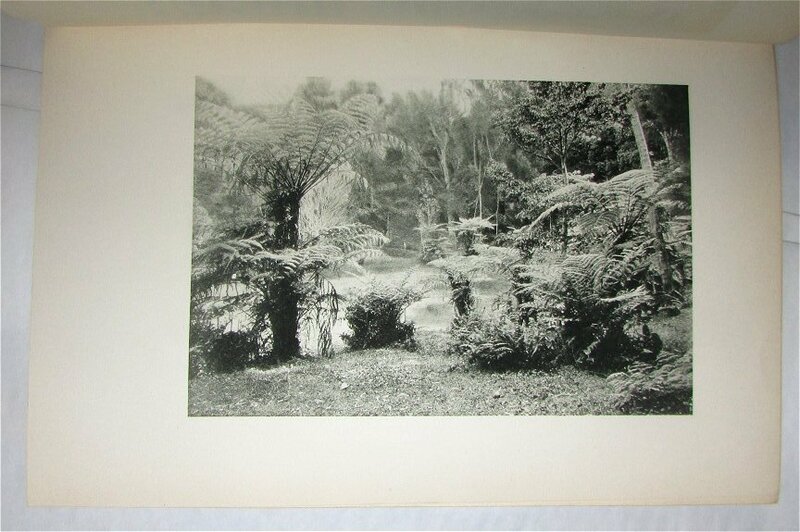 Profusely illustrated, with a large folding map at the rear of volume two. 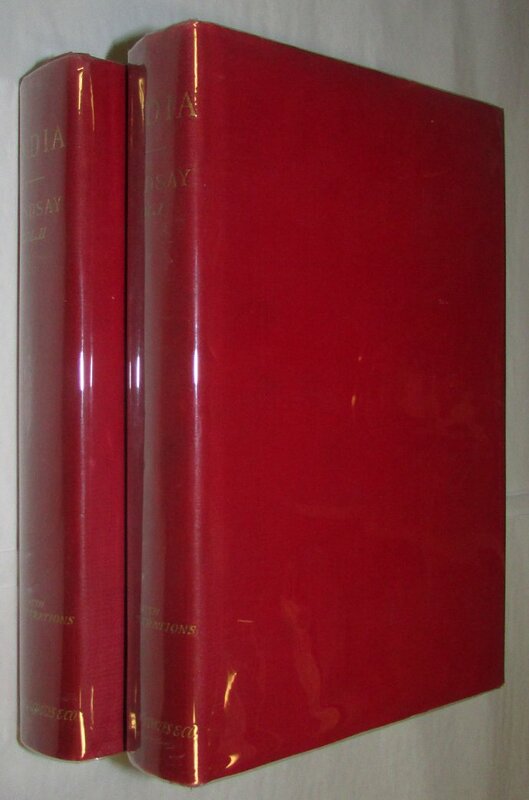 Fine bright copies in the original red linen dustwrapper.